Omega R & D Technologies is the sole owner of the information collected on this site. We will not sell, share, or rent this information to others in ways different from what is disclosed in this statement. Omega R & D Technologies collects information from our users at several different points on our website. We collect non-personally identifiable information about you such as your age, household income, buying preferences, IP address, computer settings or most-recently visited URL. We also collect personally identifiable information such as your contact, billing and shipping information, and other information not otherwise publicly available. Personally identifiable information about you is collected when you voluntarily submit such information to us by, for example, filling out a survey or registration form. We may combine personal information collected from you with information from other company sources or third parties to provide a better user experience, including customizing content for you. You provide certain personal data to officially register your product(s) with Omega R & D Technologies. We may use some of the information you provide to us, but nothing which will personally identify you. We may use one or more third party, independent companies to collect statistical information for us. This practice may be changed or discontinued at any time. Certain software downloads require the installation of a widget to your computer. By installing the widget you may receive notifications (authorizing us to send information) about your product, and be notified of contests, giveaways, special offers and discounts or rebates from Omega R & D Technologies or our partners. You may be notified when product information about your product or product group is updated by our customer services web self-help system. After completing the download, you may remove the widget. You provide certain personal data to access music downloads online. We may use some of the information you provide to us, but nothing which will personally identify you. We use one or more third party, independent companies to collect statistical information for us related to these downloads. This arrangement may be changed or discontinued at any time. We do not sell or otherwise disclose personal information, except as described herein. In general, we will only use the information you provide to us for the purpose for which such information was provided. We may also use this information to deliver to you information about our company and promotional material from some of our partners and affiliates, trend analysis, pattern detection and site administration. Your information may also be used to contact you when necessary and may be shared with other companies that may want to contact you with offers consistent with your stated preferences. Users may opt-out of receiving future communications from Omega and other entities by following the instructions set forth in the opt-out section below. Non-personal demographic and profile data is used to tailor your experience at our site, showing you content we think you might be interested in. This information may also be shared with advertisers on an aggregate non-personal basis. We may also share information with third parties in limited circumstances, including when we are required to do so by law or legal process, or to prevent fraud or imminent harm, and to ensure the security of our network and services. 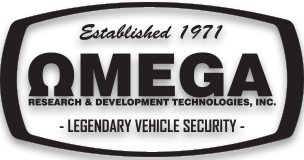 In order to provide you with certain services offered through the Omega R & D Technologies website, Omega R & D Technologies may share information provided by our visitors (such as user name and password) with third parties with whom Omega R & D Technologies has contracted in order to provide you with such services. These third parties are restricted from using or disclosing the information except as necessary to provide you with services on our behalf or to comply with legal requirements. This website is not directed to children under the age of 13 and we do not knowingly collect personal information from children under the age of 13. If we become aware that we have inadvertently received personal information from a visitor under the age of thirteen on the website, we will delete the information from our records. We encourage parents and guardians to take a proactive role in their children's online activities and interests. Our site has industry standard security measures in place to protect the loss, misuse and alteration of the information under our control. When users submit sensitive information via the website, your information is protected both online and offline. While there is no such thing as "absolute security" on the Internet, we make good faith efforts to take every step to ensure the safety of your personal information, whenever reasonably possible. Should we ask to enter sensitive information (such as credit card number), that information is secure and protected with secure socket layer (SSL) technology to help keep the personal information you provide on this website secure. While on a secure page, the lock icon on the bottom of Web browsers such as Microsoft Internet Explorer becomes locked, as opposed to un-locked or open, when you are just "surfing." (1) Click the "update user profile option" found on select email correspondence you may receive from us. (2) Visit the Customer Service section of the site and follow the appropriate instructions. Opt Out Our users are given the opportunity to 'opt-out' of having their information used for purposes not directly related to our site at the point where we ask for the information. For example, our registration forms have an 'opt-out' mechanism so users who register a product, but don't want any marketing material, can keep their email address off of our lists. Also, you may opt-out from receiving communications from our partners and from us by the following means: (1) Click the "opt out" link on any email correspondence you may receive and follow the appropriate instructions. We reserve the right to send you certain communications relating to Omega products, such as service announcements and administrative messages and product recalls without offering you the opportunity to opt-out of receiving them. This site may make chat rooms, forums, message boards and/or news groups available to its users. Please remember that any information that is disclosed in these areas becomes public information and you should exercise caution when deciding to disclose your personal information.